CRISPY CRESTA: Time for a new project car? 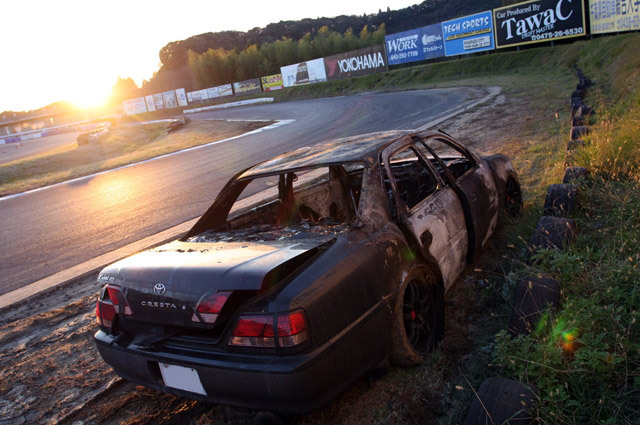 This is Drift Tengoku magazine’s JZX100 Cresta (seen in better times about three-quarters the way down in this post). Can you spot what’s wrong with it? This isn’t my photo, so I’ll try and find out what happened. 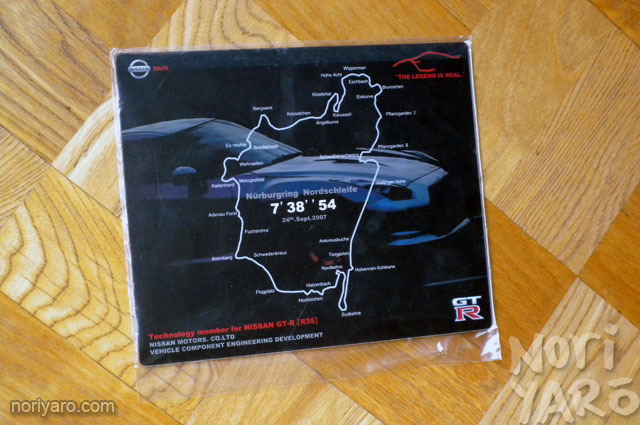 Speaking of Drift Tengoku, I know that a lot of you are still keen to get the mag sent out. Just as I was sorting out packaging supplies and whatnot recently, Japan Post announced that they were no longer going to accept non-account-holder airmail packages to the USA that were over 453g (one pound), due to concern about explosives being sent by air. Considering your average Doriten weighs about that much, and that a fair bulk of orders were going to be from the USA, that kind of threw a spanner into things. Luckily, Japan Post repealed this condition just over a week ago, so things are once again going to go ahead. Not too many posts here recently, eh? It seems like I’m covering and shooting more stuff than ever, but a lot of my best one-shot pics are going to Drift Tengoku’s two-page Noriyaro spread, and most of the stuff I’m doing with the Mark II is going to the UK’s Banzai magazine in the “Our Cars” section. Regarding my recent debut in the D1 Street Legal Inter series; 37th out of 60 cars. You can see the results by clicking this link. Not great, not bad. Next year then. I do have a backlog of stuff to put up though, like the remainder of the pics from the AE86-only event I attended. 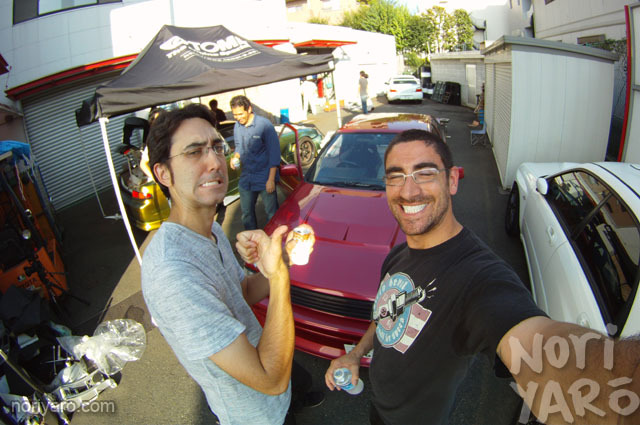 Also, when the producer of Phat Sliggity, Mark Boxer, was in Japan recently, he came out to the 1JZ Meeting and did some extensive video shooting with his Canon and GoPro cameras. As soon as that’s edited up, I’ll stick it up here too. I suppose you’re wondering about the picture? That’s Takurou Watanabe from Caroline Racing up in Tochigi. 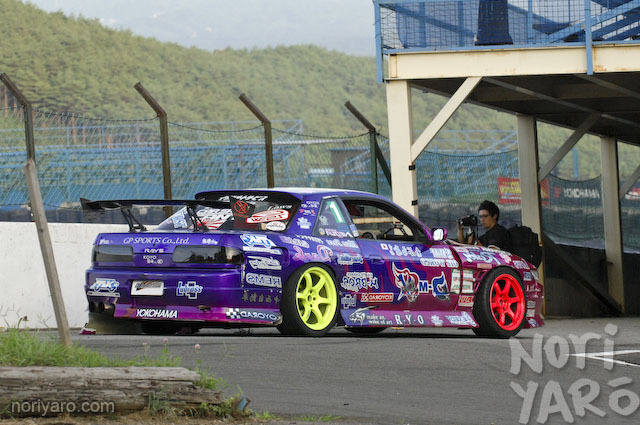 Takurou, an extremely imaginative mechanic, has featured here before with his Kinjitou extreme-angle knuckle 180SX. He started his workshop on a converted dairy farm way out in the countryside and builds things like a 2JZ-powered S14 with the biggest rear wing you’ve ever seen, and a short-wheelbase four-door R33 Skyline. He’s also constantly coming up with interesting modifications, like using the electric power-steering pump from a Honda NSX in FR drift cars as a power-saver. This particular conversion, he did to the GT-R belonging to the editor of Drift Tengoku magazine. You’re still wondering about the car? 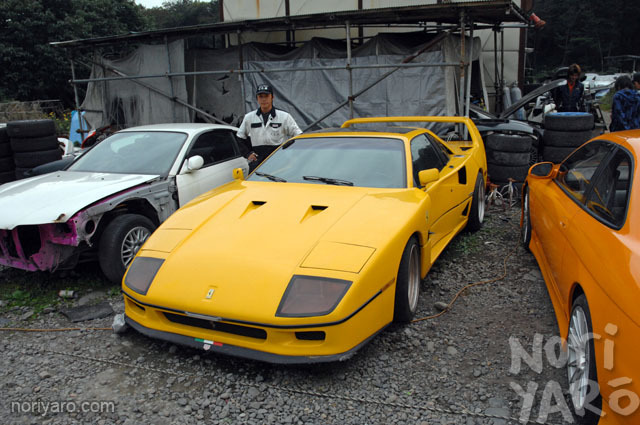 It’s not actually an F40. It’s a Pontiac Fiero with a complete fibreglass bodykit that Takurou picked up cheaply at the auctions a while ago with a dodgy engine. He intends to convert it to a nitroused 600hp RB26 and drift it. Japan can be fun at times. OK, so this is kind of cool. 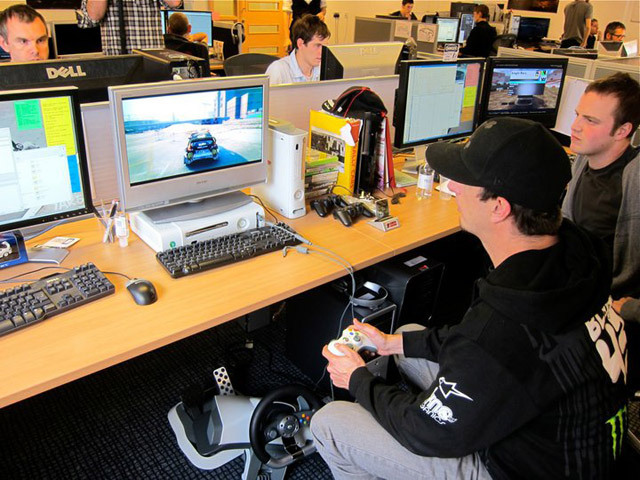 These are a couple of pics from Ken Block’s Facebook page that show him test playing the new DiRT3 game at Codemasters in his rather spiffy hoodie. That’s all well and good, but take a look at the monitor to the left. Look at what I found last week. This remarkably intact spocom-style Mitsubishi Eclipse has found a slightly wretched end amongst the weeds in an open field. 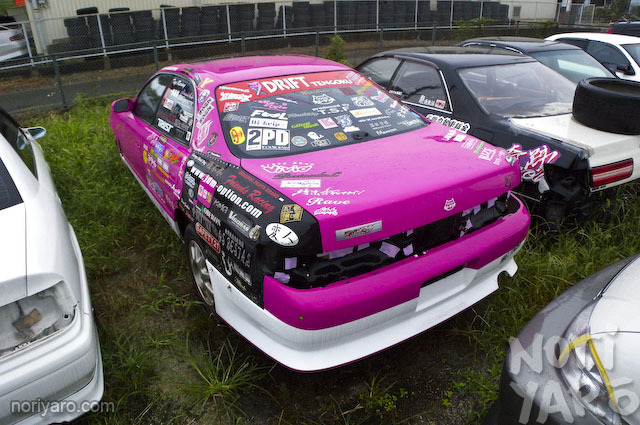 After I put some pics of the new Drift Tengoku JZX100 Chaser demo car in this post, a few people were probably wondering (mostly DiscoQuinn) what happened to the old JZX90, as it wasn’t as in bad of a condition as the previous A31 Cefiro demo car was when it was retired. I’ve doing and shooting a lot of stuff recently, but a lot of it has been going to magazines and the like instead of ending up here. My former workmate Mark Boxer was in town recently though, so I went with him to a visit he had arranged at Tomei to shoot some pics and video, so here’s some pics from that day. Not only can Boxer do the journalism thing, he’s also handy with a stuntbike and at using an angle grinder to make things. WEEKEND EDITION: 1JZ Meeting and full aero! I picked up my Mark II from the panel shop today with a full aero kit and polished paint just in time for the 1JZ Meeting at Fuji Speedway today! More on that later. For the people who expressed interest in Drift Tengoku magazine, I’ve been talking to the distributors about it this week and should have some more details soon. For the people who were asking about the photos from the AE86 event, they just came out yesterday in Drift Tengoku’s Noriyaro section! I still have a lot left over though, so some of them might see the light of day on here eventually. Speaking of magazines, the one I used to work for in Australia, the now-defunct Autosalon, is regularly putting up some of their former articles online. Here’s one I wrote about the Mature two-door GC/GD conversion drift car a little while ago. Here’s a couple of interesting little bits of memorabilia I’ve picked up so far in Japan. Upon this spot, the dreams of thousands of young men once stood. 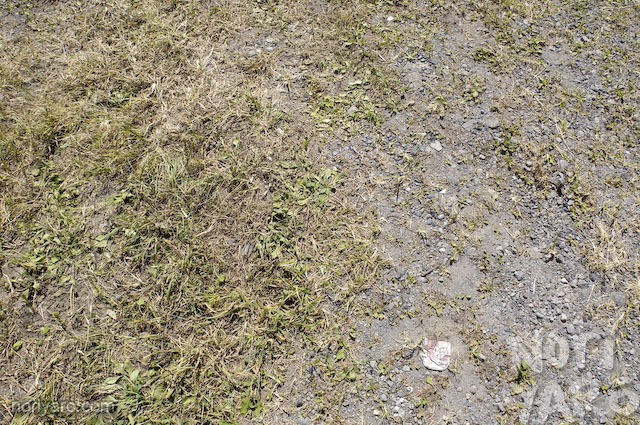 Now, it is nothing but a patch of weeds and gravel.